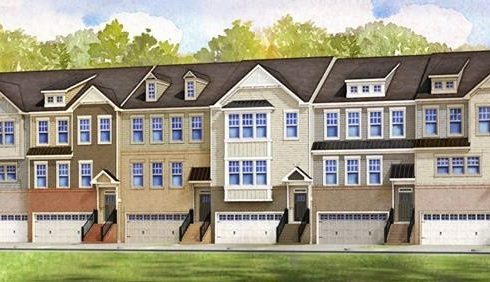 Low-Maintenance Living: Townes at North Salem features quality-crafted, three-story garage townhomes that begin in the upper $200s. Townhomes require less maintenance, which means that you can forget about mowing the lawn and raking leaves. With more time to enjoy the best things in life, it’s no surprise why more homebuyers are choosing to experience low-maintenance living with townhomes! Spacious Floorplans: In addition to low-maintenance living, Townes at North Salem offers all the conveniences and designer features of a traditional single-family home with stunning, open floorplans newly introduced by HHHunt Homes. 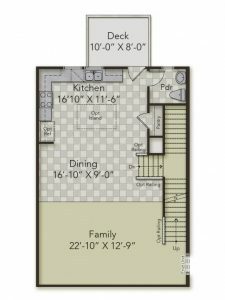 Starting from the upper $200s, the five available floorplans feature a two-car garage, 3-4 bedrooms, and 2.5-3.5 baths. With 1,900 to 2,502 square feet of space, you’ll never run out of space for entertaining friends and neighbors! You’ll also love looking out onto the tranquil community setting from your second-floor deck. Convenient Location: Nestled in charming Apex, Townes at North Salem offers a strong sense of community like nowhere else. Townes at North Salem is just a short drive from Historic Downtown Apex that’s extremely walkable and features colorful storefronts, specialty boutiques, great local dining, and the Apex Farmer’s Market. Community Amenities: Townes at North Salem will be a fun and exciting place to live with a variety of fantastic community amenities. Homeowners will be able to cool off in the summer and relax poolside at the resort-style pool. The covered pavilion will be a fun gathering spot for friends and neighbors. There will also be no better way to enjoy the beauty and tranquility of the community than by exploring the play lawns and many open spaces. Townes at North Salem is the perfect community for first-time homebuyers and those looking to elevate their lifestyle. Homesites and Quick Move-In Designer Homes are ready now! We invite you to schedule a tour and learn more by visiting our website. Stay tuned for information on the model grand opening!